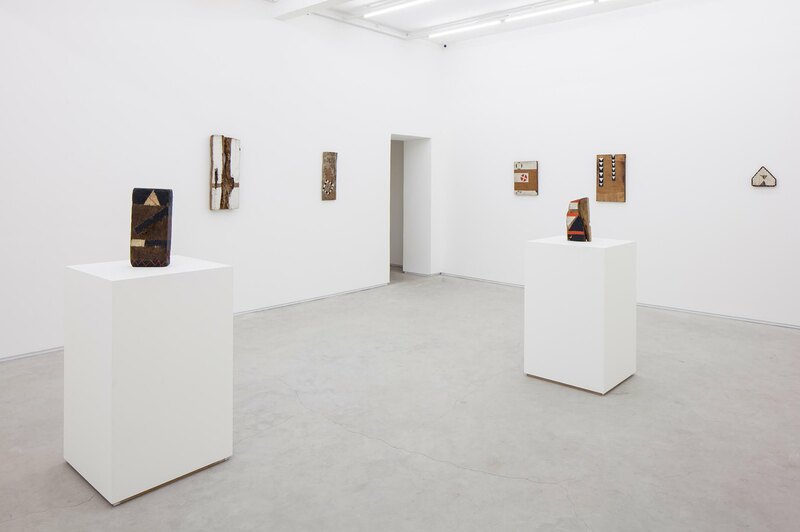 Mendes Wood DM has the pleasure of presenting the first solo exhibition by Minas Gerais artist Celso Renato (1919 – 1992) in the last 20 years. 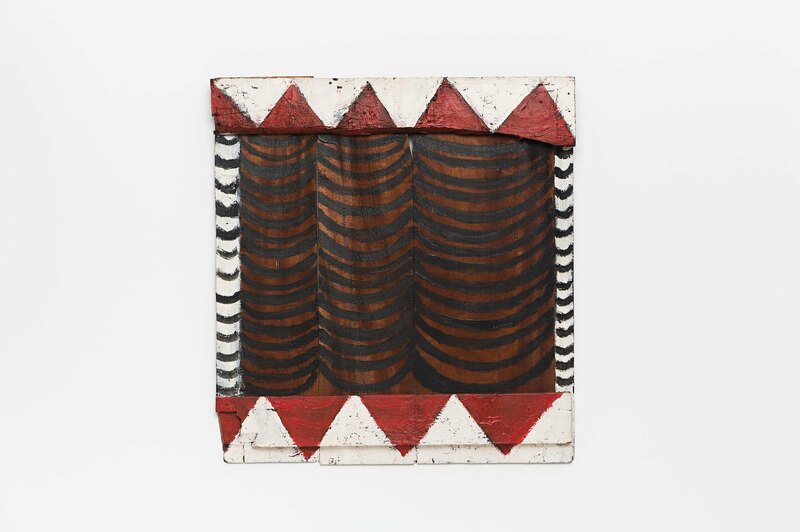 His career as an artist began when he was middle-aged, starting in the 1970s and '80s – the period in which his work took on the dimension and relevance that established him in the art world. 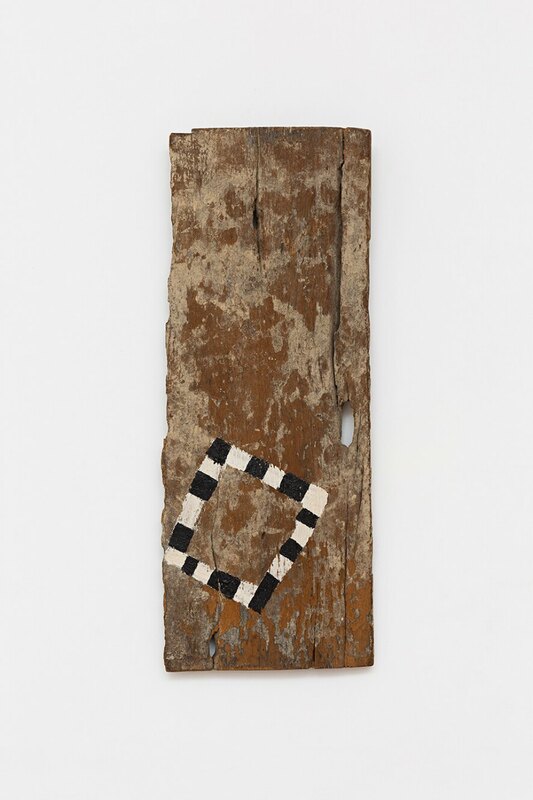 The work featured in this exhibition spans this period, the most recent piece dating from the early 1990s. 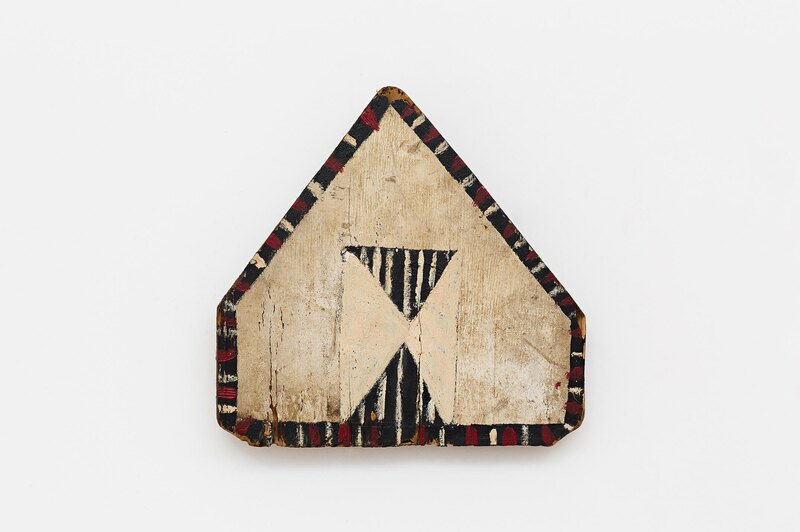 Alongside Amilcar de Castro (1920 – 2002), Celso Renato is considered one of the most particular artists in dialogue with the Minas Gerais constructivist tradition. 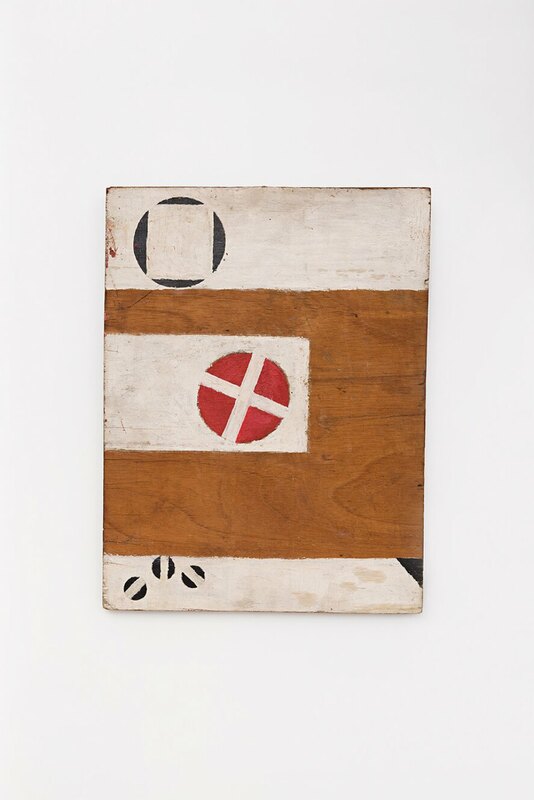 His artistic production started out with a strong influence from informal abstraction, working with large-scale canvases filled with bold forms and vivid colors. 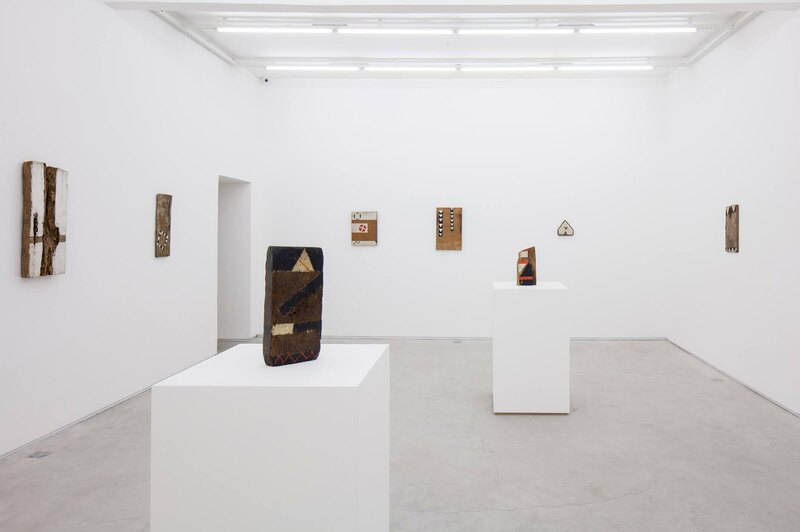 Nonetheless, it is at the moment he began working with the principles of geometric abstraction on wood that Celso Renato changed course and gained new prominence as an artist. 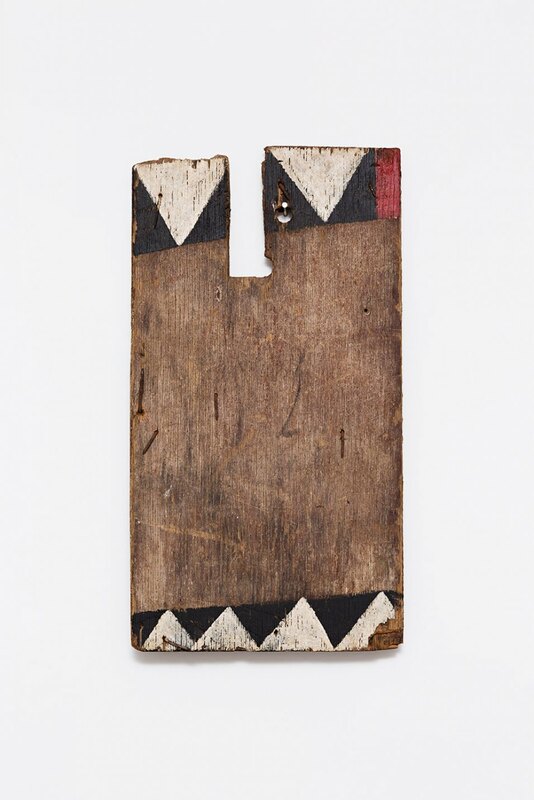 Little by little, Celso Renato goes on to substitute canvases with wood as the medium for his paintings; plank siding used to section off from construction sites, old boards, scraps of wood taken from building projects – never purchased – gradually became the focus of his creative efforts. 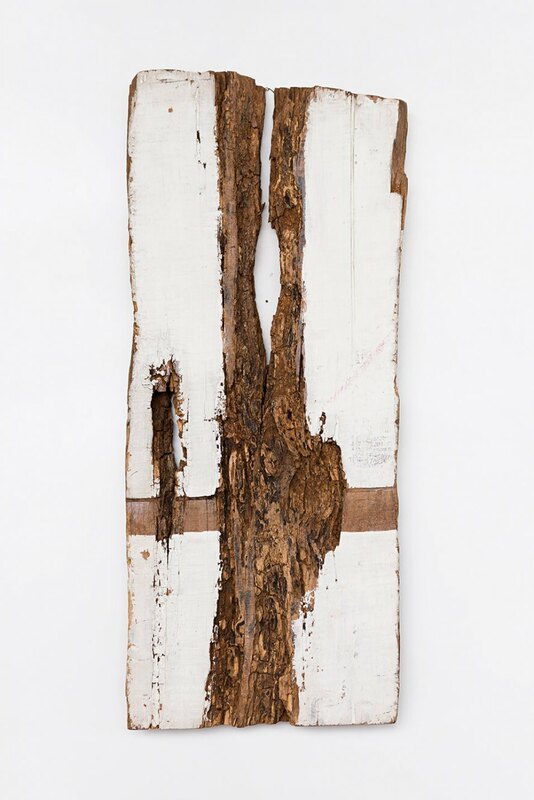 Like Gordon Matta-Clark (1943 – 1978) in his sculptures created by cutting entire houses – what he called anarchitecture –, Celso Renato embraced the city in order to construct his works of art; overall, he embraced what the city discarded from its own construction and bestowed new meaning, both visual and subjective, upon it. 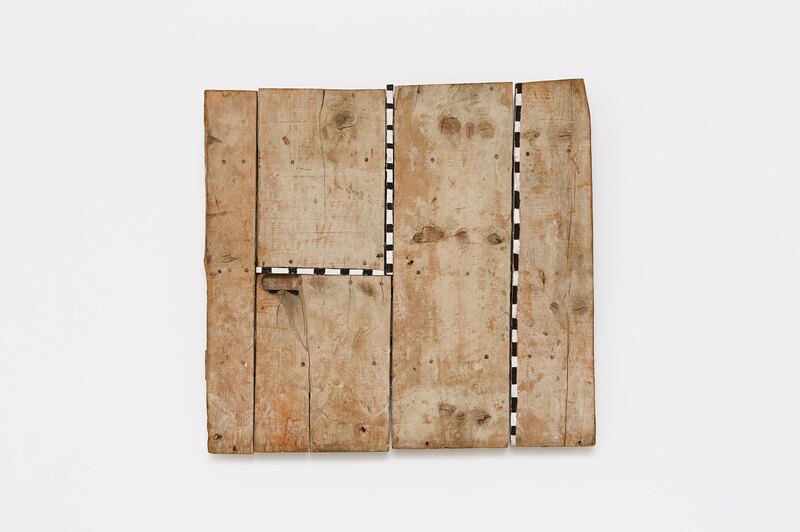 Little by little, the stains and gestural graphics gave way to formal geometric registers that stand out as indications of a different conception of space. 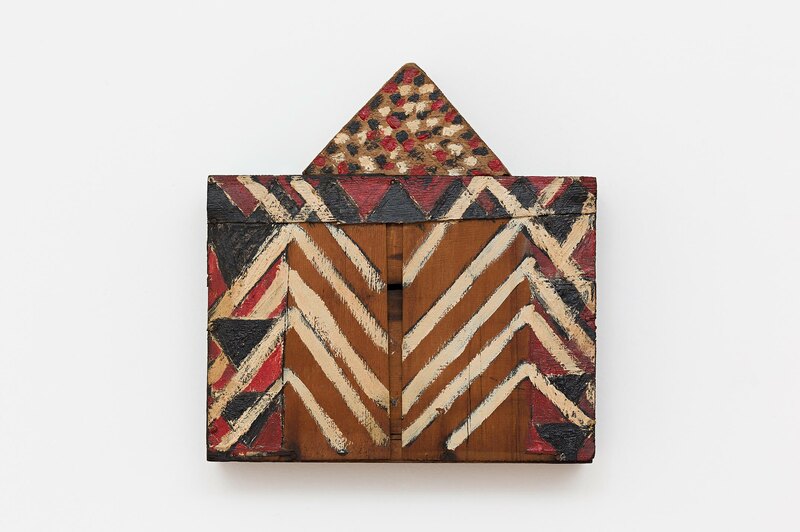 In the 1980s, he dedicated himself exclusively to working with construction wood, earning him an invitation to participate in the 17th International Biennial of São Paulo in 1983. 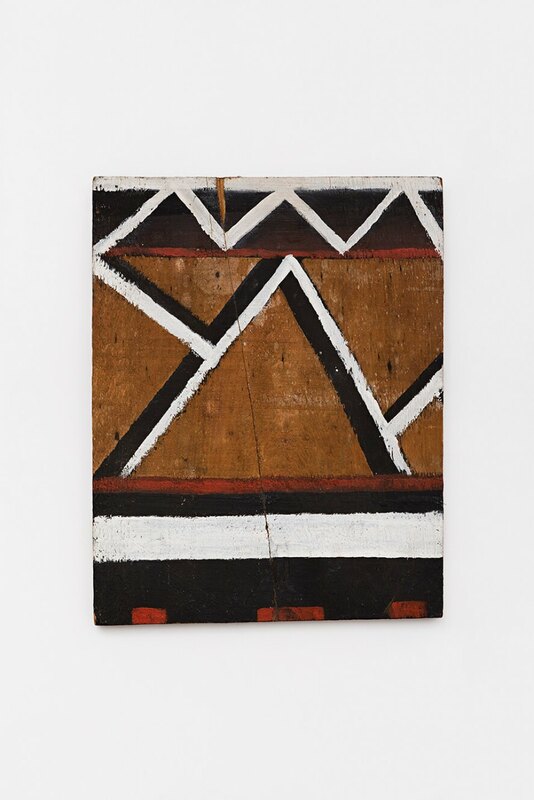 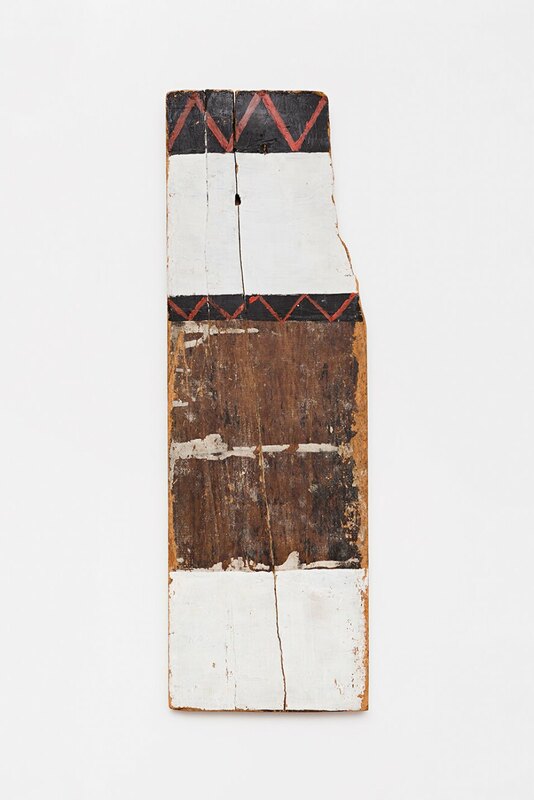 This use of wood made the very notion of space in his work transform, taking on shapes that resemble tribal patterns – indigenous and African references –, and the colors also turned denser and darker, with a constant use of red, white and black. 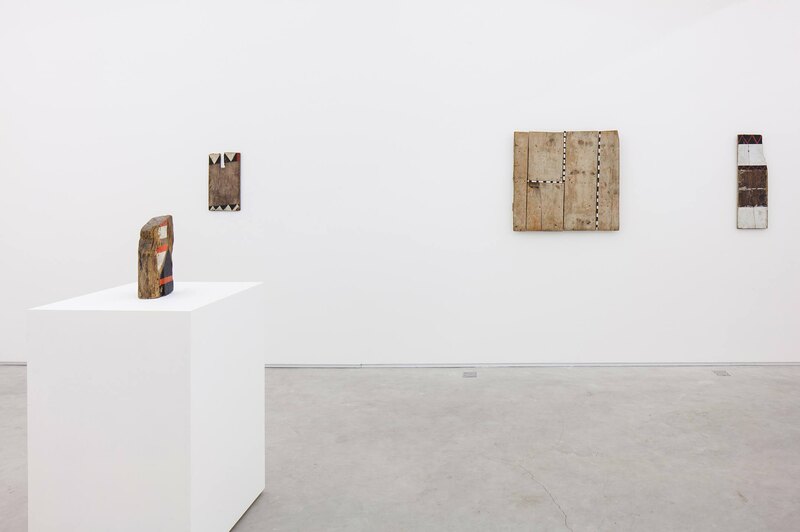 Once the utilized material had its own textures, flaws and variable formats, the singularity of his works became significant. 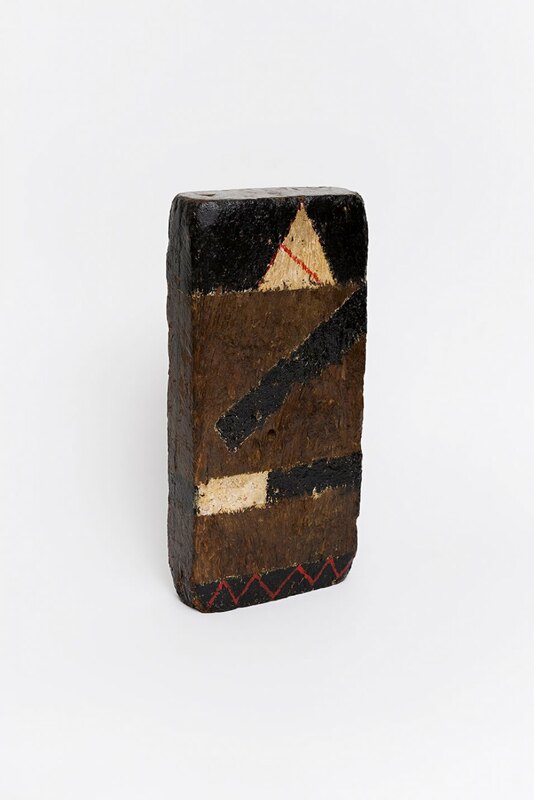 Renato explored splintered wood, and certain flaws in the wood, such that he created a symbiosis between the geometric proposal of the painting and the organic nature of the actual medium. 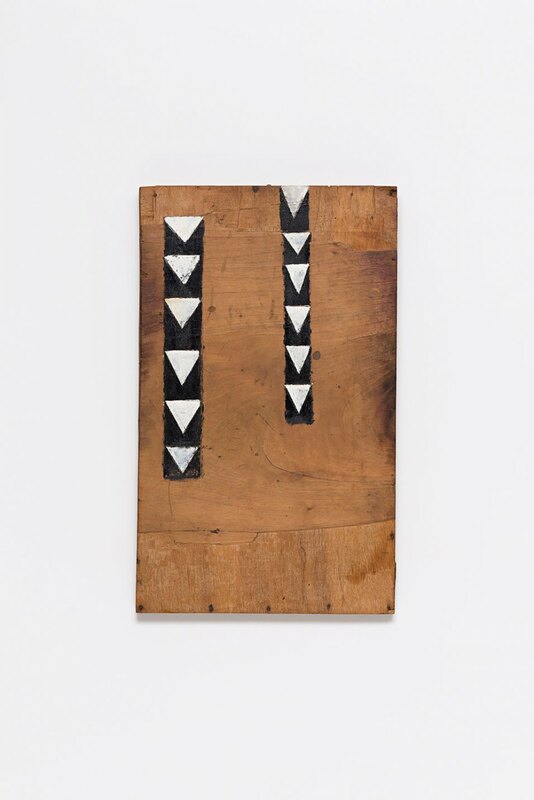 Still, it is not a calculated, arithmetic geometry which constructs his compositions, but rather an organic and textured geometry, fueled by its actual medium transformed into an eminently visual element.